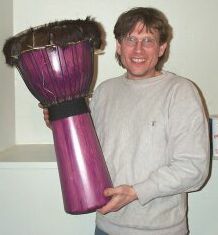 Man holding a purple drum. Here is a sailor on shore-leave who built a depth charge. 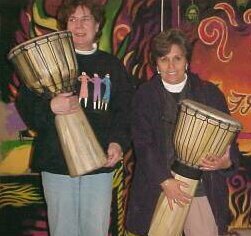 Two women sneaking out of the workshop with someone else's drums. 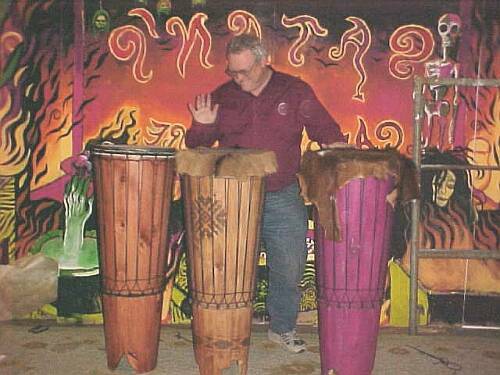 Be good boys and girls and you won't wind up in Hell where this guy plays "Babaloo" around the clock. 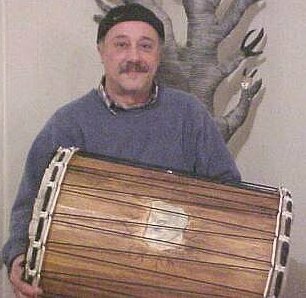 Links to more workshop photos are at the top of this page.